Premier Li Keqiang responded to 17 questions from reporters at a news conference at the Great Hall of the People on March 16. 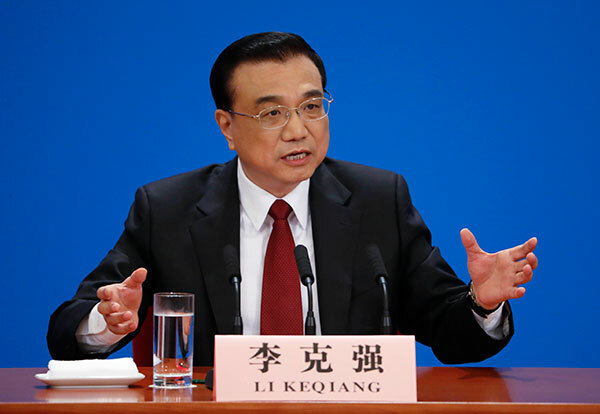 Premier Li Keqiang said on March 16 that China’s economy will not suffer a hard landing and there are more hopes than difficulties. The Chinese government is capable of guaranteeing payment of benefits for pensioners, Premier Li Keqiang said on March 16 while meeting the press. The government work report and the 13th Five-Year Plan for the country’s economic and social development were released in full on March 17. China will establish a commercial rocket development and launch company, a scientist with a state-owned space technology enterprise said on March 15. China Daily invited executives from several multinational companies operating in China to share their views on the outlook for the Chinese economy. China’s booming film industry needs better trained staff if its production values are to match those of Hollywood, according to leading director Feng Xiaogang. 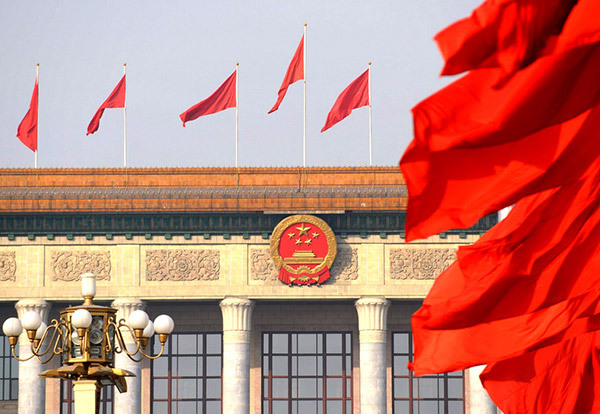 Altogether 5,375 proposals have been submitted to the annual session of China’s top political advisory body this year, according to a report released on March 14. After making dozens of people-oriented changes, national legislators gave a ringing endorsement on March 16 to the country’s 13th Five-Year Plan (2016-20). China’s 13th Five-Year Plan (2016-2020) will create more opportunities for sustainable growth within and beyond its borders, the experts said. At 9 am, the 12th NPC will hold the closing meeting of its fourth session. And after that, Premier Li Keqiang will meet the press at the Great Hall of the People. China should speed up the standardization of its high-speed railway technologies and take the lead in setting international standards, an industry insider suggested. Lawmakers are proposing the enrollment of more undergraduates in pediatric studies to cater to the country’s upcoming baby boom. Foreign media believe that reform and innovation will inject new impetus to the Chinese economy, which will push forward global economic development. Overseas media say that the country has outlined a series of measures to cope with downward pressures on its economy. The central government will increase its poverty alleviation budget by 43.4 percent this year, lifting at least 10 million people out of poverty by the year end. This is a turning point for China where enormously large economy is trying to protect environment while keeping the momentum of development to an optimum level. China is making great strides in its green-energy efforts, and we’re quite keen to see whether this shift takes on a more accelerated step change in the coming five years. The hot issues discussed during the ‘two sessions’ not only decide the country’s future development but also concern people’s lives. People’s livelihoods should be at the center of social focus. People expect better life, a more prosperous country, cleaner environment and more convenient transportation. Travelling has now become part of people’s life. China’s tourism market saw four billion visits, a record, in 2015. China has stepped in the “era of tourism”, bravo!